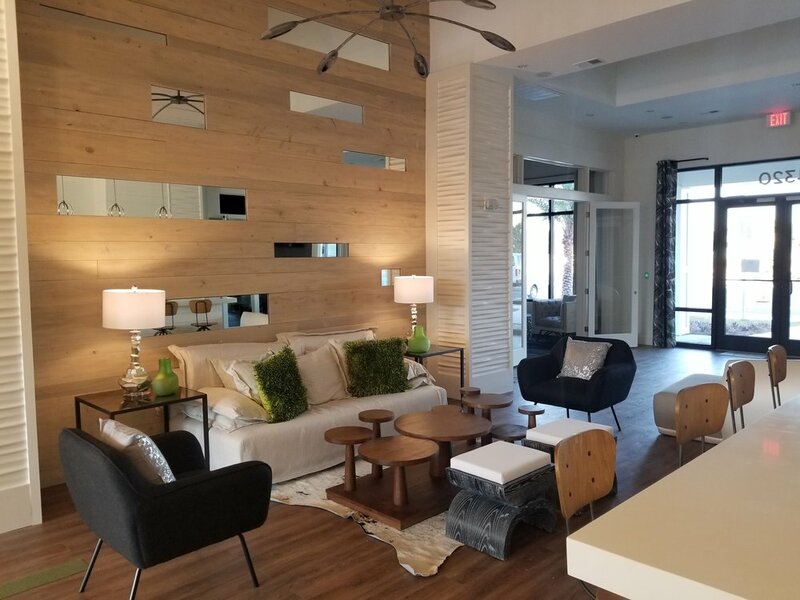 SETTING A NEW STANDARD FOR LUXURY APARTMENT LIVING IN DESTIN. THE PROJECT: In Fall of 2016, Catalyst commenced development on a new 288 unit, Class-AA apartment community in Destin, Florida. This luxury, 3-level, garden-style property is unique to the area and raises the bar for apartment living based on available comps. This distinctively designed development is more contemporary than communities currently accessible for beach living in the market. 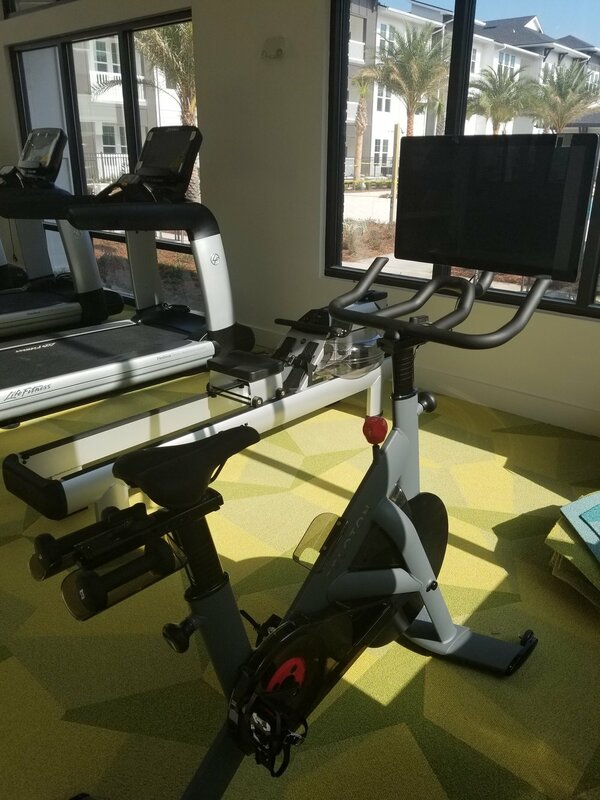 The 12-acre site, located at 4320 Commons Drive West, Destin, FL 32541 was developed at a projected cost of $41 million and began pre-leasing Summer 2017. Sea Glass was carefully planned to attract professionals and families who desire relaxed sophistication in their apartment home. Sea Glass offers studio, one, two and three-bedroom apartment homes ranging from 488 to 1,399 square feet of living space with high-end interior finishes including: granite counters, subway tile backsplashes, two-tone cabinetry, and wood-inspired plank flooring. Floor plans incorporate gourmet kitchens and islands with pantries, stainless steel appliances, walk-in showers, nine-foot ceilings, spacious closets, full-size, front-loading washers and dryers in all units, plus balconies and outdoor patios to maximize views from all units. Sea Glass is positioned in central Destin near highly-desirable shops, restaurants and entertainment. Located just off Commons Drive and Hwy. 98, Sea Glass is walking distance to Henderson Beach State Park and minutes to Mattie Kelly Arts Foundation where festivals are held throughout the year. Fresh Market is 0.7 miles from the community; and just 1.6 miles away is Destin Commons featuring prime shopping including: H&M, Williams-Sonoma, Pier 1 Imports, Abercrombie & Fitch, Publix and Whole Foods. 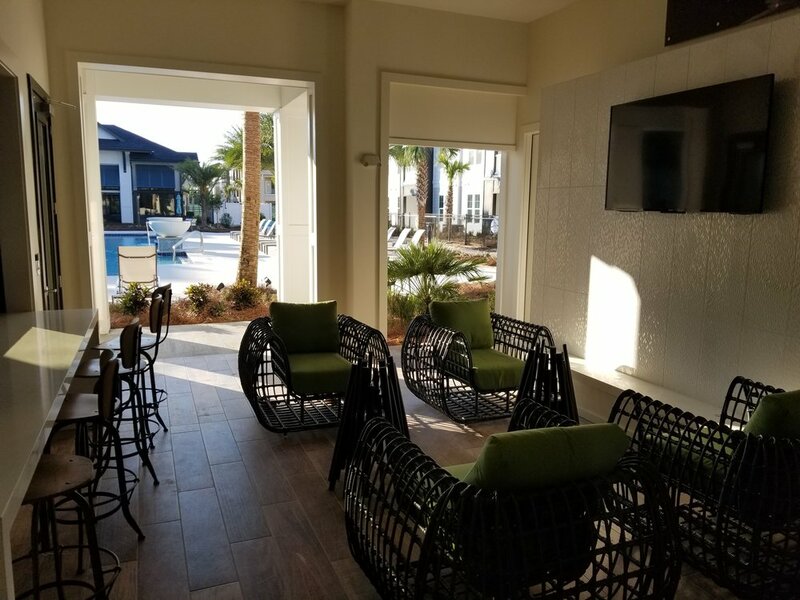 THE CATALYST: Delivering elevated standards in Destin apartment living is the catalyst and inspiration behind plans developed for Sea Glass. The Resident Clubhouse includes a central kitchen, full media lounge with complimentary WiFi, Cyber Café with streaming video, gourmet coffee and refreshments, business center, conference room, entertainment lounge with billiards and gaming, plus indoor/outdoor community bar with access from the clubhouse as well as pool-side. In addition to courtyards, lush gardens and water features, community amenities include a resort-style pool, two-story fitness center with weights, cardio and Yoga/Spin room, picnic area with hammocks, event pavilion, fire pit lounge, covered grill with dining area, premium bike storage, detached garages, dog spa, expansive dog park and contemporary community spaces. RESULTS: First residents took occupancy in December 2017. Within 10 months, the community was at 100% occupancy with a waiting list for new residents. In November 2018, Passco Companies acquired Sea Glass community for $63.3 million.